Mycotoxins can contaminate almost everything your horse eats and can cause significant health and behavioural issues. The problem is, figuring out what is causing the problems you are seeing and suspect may be mycotoxins isn’t always easy. This post is going to help you answer the question: what should you do if you think your horse has a mycotoxin problem? Often when someone suspects mycotoxins they will add a mycotoxin binder to the horse’s feed. Sometimes it will help. But often it may not and this will normally lead a horse owner to the conclusion that the problem isn’t mycotoxins and they continue to struggle along, baffled by what is causing the changes in health or behaviour for their horse. The problem is, not all mycotoxin binders will bind all mycotoxins. It’s also really very hard to mix mycotoxin binders well enough in a horse’s gut with the forage they eat to actually come into contact and either bind or destroy all mycotoxin. So even if you get the right binder, it may not get the chance to come into contact with the mycotoxins in the horse’s gut to allow it to do its job. For more information on mycotoxin binders (and what to consider before adding one) click here. Let’s say for example a horse has started to show changes in behaviour: spookiness, aggressiveness or overly herd bound and always wanting their mates. You suspect it is pasture mycotoxins from your ryegrass pasture (sound familiar anyone?!). The best thing to do is to take your horse COMPLETELY off the pasture for a period of time and replace the pasture with hay that is not ryegrass and see if the behaviour settles down. Doing this completely removes the suspected pasture toxins from the diet and you will see quite quickly if it was the cause of your issues. If the problem settles once the mycotoxin contaminated feed or forage is removed from the diet, you have identified your suspect and now it becomes a matter of managing the problem. This may involve keeping the horse off pasture completely at high risk times (for example when your ryegrass is overgrazed or gone to seed). You may only allow grazing for short periods of time to limit mycotoxin intake or you may allow your horse to graze but feed an appropriate mycotoxin binder regularly during the grazing period to give it the best chance of coming into contact with the pasture mycotoxins in the gut so it can bind or destroy them. 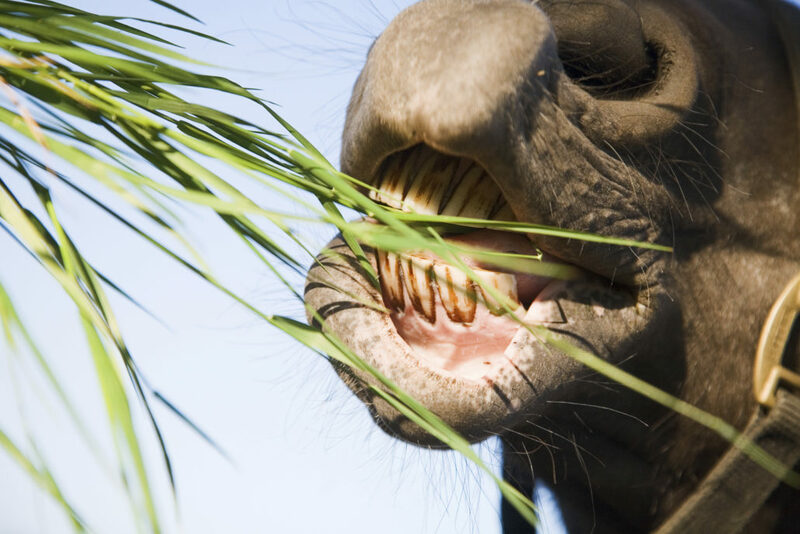 https://feedxl.com/wp-content/uploads/2010/04/Horse-eating-grass.jpg 2200 3300 Dr Nerida Richards https://feedxl.com/wp-content/uploads/2017/08/FeedXL-header-logo-300W.png Dr Nerida Richards2018-11-04 07:42:342019-01-09 09:53:34What Should You Do if You Think Your Horse Has a Mycotoxin Problem? What to Consider Before Adding a Mycotoxin Binder to Your Horse’s Die... 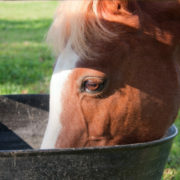 Grain Free Horse Feed: What Does it Actually Mean?